Non-alcoholic beer doesn’t taste all that good. 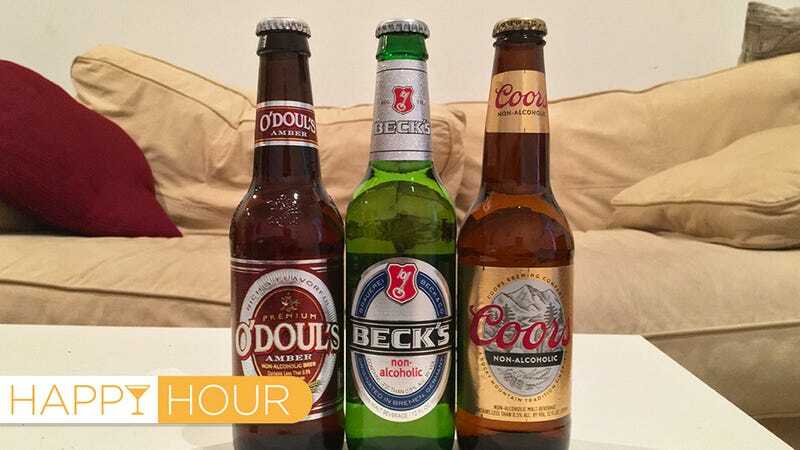 This week on Happy Hour we tried three non-alcoholic beers and felt only slightly hydrated afterwards. First up, we tried O’Doul’s Amber, and it was by far the best of the bunch, though still not very good. Like most of the beers, it tasted like carbonated water with some beer flavoring thrown in. Next, we tried Coors, which was entirely unremarkable. It didn’t taste anything like what I’ve been told Coors actually tastes like. So, there’s that. The final non-alcoholic beer we tried was Becks, which was pretty disgusting.